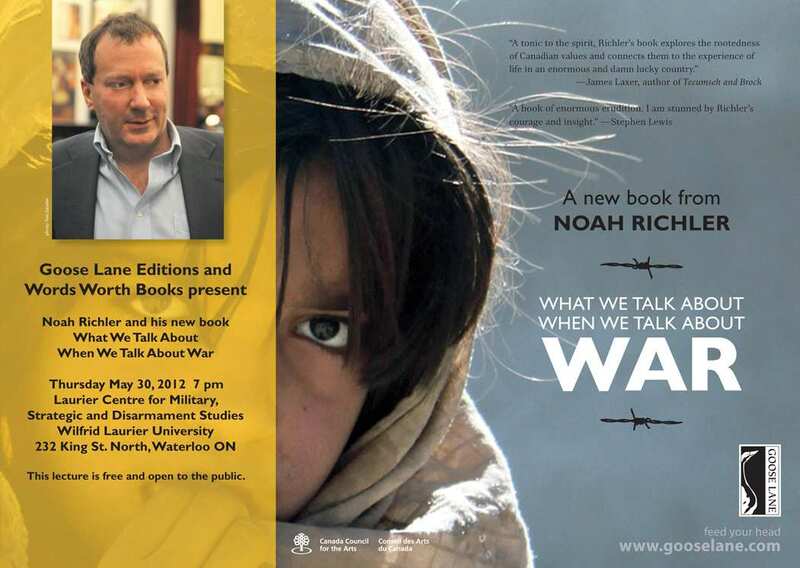 The Laurier Centre for Military Strategic and Disarmament Studies, Goose Lane Editions and Words Worth Books present a lecture from author Noah Richler discussing his new book, What We Talk About When We Talk About War. 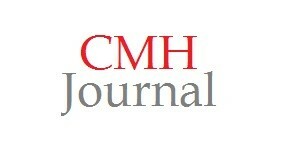 When: Wednesday, May 30, 2012, 7:oopm. Richler has also recently published an article with the Globe and Mail reflecting on similar themes to his book. For more information, see the attached poster or contact Geoff Keelan at [email protected]. Words Worth Books is a local bookstore on King St. 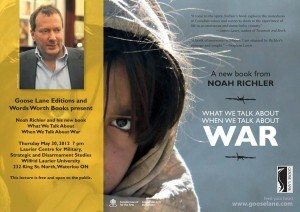 They had already arranged for Mr. Richler’s appearance and generously offered us an opportunity to co-host the event. Since the Centre enjoys offering a variety of engaging speakers to those interested in military studies, we felt we could not refuse. If the Laurier Bookstore had approached us with the offer, we would have gladly supported them as well. 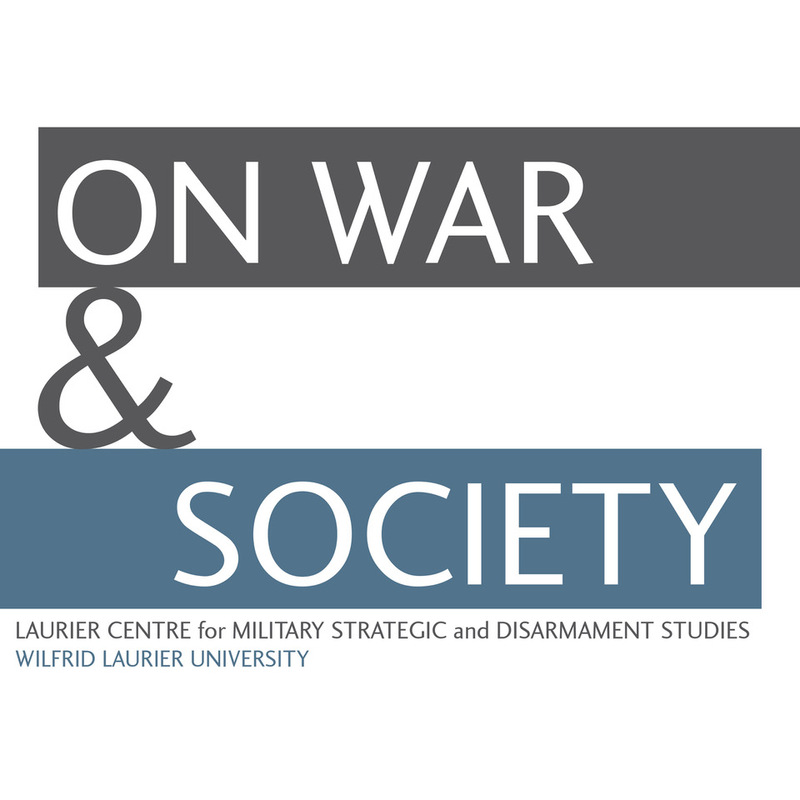 The Centre is committed to supporting the Laurier community, but we also try to nurture local Waterloo connections as much as possible. Please contact me at the e-mail above if you would like to further discuss these concerns.